Sell My Toyota Prado: Cash for Car NZ is ready to pay cash for your Toyota Prado, running or not. 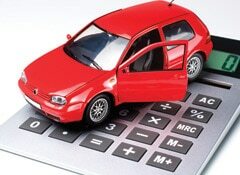 Here at Cash for Car NZ, we know how difficult selling a vehicle can be. That’s why with nearly decade of experience in the car buyer & wrecking industry under our belts, we’ve made it our mission to make our process as easy as possible for our customers. Plus, we’ll give you cash for your Toyota Prado no matter what condition it’s in. Total loss, wrecked, damaged, used, scrap, no WOF & rego, broken engine, faulty transmission, deregistered or even like new, we make offers and pay cash for your Toyota Prado! We are specialist Toyota Prado buyer, we know what a hassle it can be to sell an SUV if you’re looking to sell privately or as a trade-in. Hidden fees, classified ads, meeting random strangers, and haggling over your asking price can add up to lost time and value for your vehicle. Luckily, there is an easier and faster way to sell your Toyota Prado. Cash for Car NZ buys Toyota Prado for a fair market value. We tow your vehicle for free and same-day removal. Get the best price for your Prado today! Sell your Toyota Prado for cash? Talk to our vehicle valuation experts to get best cash offers for your Toyota Prado. Give us a try and get a free offer. Call us at 0800224000 or complete our online quote form. SELLING YOUR TOYOTA PRADO IS EASY. CLICK HERE TO GET AN OFFER! In addition to giving you a free quote with just one phone call, we also offer same-day free towing. Get paid cash for your Toyota Prado on the spot. Our friendly tow truck driver will be the one to pay you cash on the spot. From there, we’ll handle the other details. Sell your Toyota Prado for cash? Talk to our vehicle valuation experts to get best value offers for your Toyota Prado. Give us a try and get a free offer. We pay up to $12000, Cash for Toyota Prado! Call us at 0800224000 or complete our online quote form. What are you waiting for? Call us now 0800224000 or fill out the online form. It’s really that simple to get started. And since our quotes are free and no-obligation, what do you have to lose? 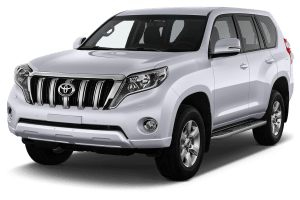 Get Cash for Toyota Prado Today! We buy all variants for Prado as we are specialist Toyota Land Cruiser Prado Buyer. We currently have a high demand for Toyota Prado. Therefore, We pay MOST for Toyota Prado Like diesel, petrol, V8, manual, automatic transmission.